Hong Kong Quality Migrant Admission Scheme (Hong Kong QMAS) is an entrance Scheme for the eligible skilled and talented individuals to migrate to Hong Kong. It is quota based scheme that search for the skilled and talented people in order to improve the country’s economy. The skilled and talented people who have a desire to work in Hong Kong or to enter or stay in Hong Kong can apply for the Hong Kong PR. 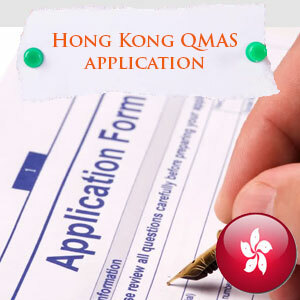 To get the Hong Kong QMAS visa the applicant should qualify in Quality Migrant Admission Scheme. To apply for this Hong Kong QMAS scheme the applicant should fulfill some prerequisites like, applicants age should be a minimum of 18 years, should have a financial capability to support themselves and their family members with a good conduct and should not have any of the criminal records or adverse immigration record in Hong Kong or anywhere else in the world, should be an expert in writing and speaking English or Chinese and the applicant should have a good education background usually a first degree from a recognized university. These are the pre-requisites for Hong Kong QMAS visa. Applicants who have fulfilled the required prerequisites are now eligible for Hong Kong QMAS points calculator, either General Points Test or Achievement-based Points Test. The applicant should get qualified in any of these tests to further the process. For the General Points Test, the applicant should get a minimum of 80 points out of 165 points. This General Points Test is based on the applicants’ age, work experience, academic qualification family background and language proficiency. For the Achievement-based Points test, the applicants are awarded with 165 or 0 points and the test is for the applicants with outstanding skills, exceptional talent, and who have a won International / National / State awards and who have made major endowment to their field. ​Applicants who have met the eligibly criteria for Hong kong QMAS application are permitted to write any of the tests and the applicants who finally got sleeted or qualified in any one of these tests they are are screened based on the quota allocated to the applicants and their scores in the tests. High scored applicants are selected for the further review. The Hong Kong Immigration director asks advice from the Advisory Committee, which consists of non-official and official members selected by the Chief Executive of the HKSAR. Based on the Hong Kong socio economic needs and other relevant factors Advisory Committee recommends the Hong Kong Immigration how to select the applicants based on the quota allotment. Soon after the applicants are selected Approval-in-principle letter will be issued so that they can move for the interview with all their original documents. 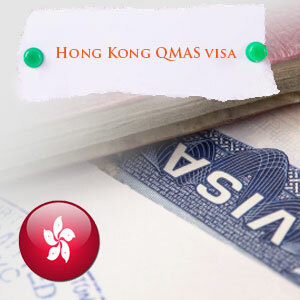 If all the documents are verified successfully and once the other required procedures are completed then the visa is permitted to the applicant under the Hong Kong QMAS. For more information on Hong Kong Immigration please fill out Morevisas Enquiry Form and follow us @ Facebook.